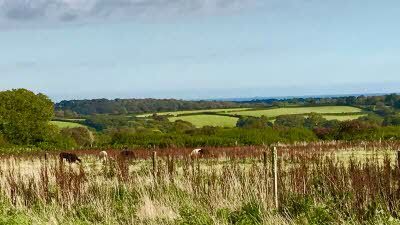 Our farm provides wonderful countryside views and a great network of rural footpaths. 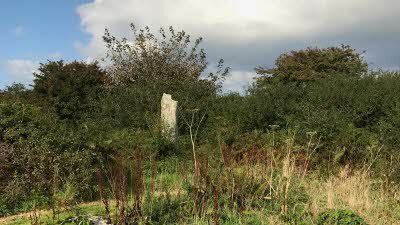 A pre-Bronze age standing stone featured in the Cornwall book of Archaelogy is in the centre of our site surrounded by wildflowers. It is excellent for birdwatching and we often have resident barn owls. Close by are the gardens of Trebah and Glendurgan and the beautiful sailing waters of the Helford River. 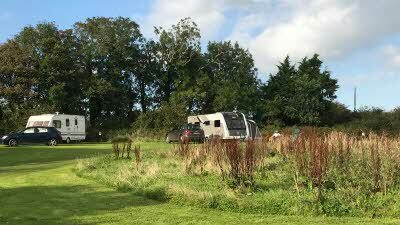 We are a quiet laidback site and welcome like-minded visitors. 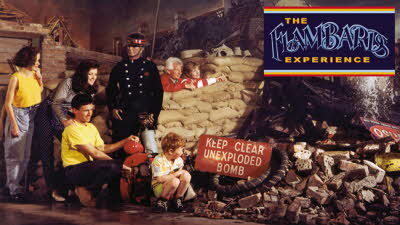 A great family fun day out! Brave sky high thrill rides or enjoy the undercover soft play area. Discover dinosaurs in the Jurassic Journey and uncover fossils in the Dino Dig or enjoy the life-size Victorian Village and experience Britain in the Blitz in the award-winning Indoor Attractions. A unique site on the Great Flat Lode cycle trail. More than just a museum with a partially guided tour of the mineral processing mill, nature trail, shop, cafÃ© and large car park. 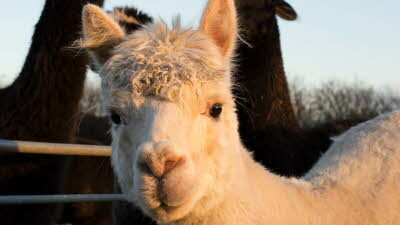 The ultimate farm-tastic day out packed with all-weather, family fun. 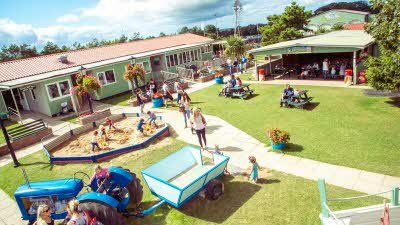 From slides and soft play in The Bull Pen to exploring the Nature Trail atop the Lamborghini Hayride Tractor, feeding the animals and pony rides - there's a world of free range fun awaiting. Always a well kept and peaceful site. with a warm welcome! Our 3rd visit to the site and as always a delight whatever the time of year. 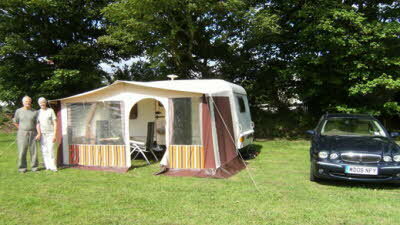 The views are great and the site is very peaceful and well kept. We find it difficult to understand why anyone would complain about the grass being cut as it is for the benefit of the units staying on site, especially as the grass is collected unlike a lot of others! Well done Jo and family, we will be back with Peggy the Goldie who loves the space and walks. Thank you for visiting our site and for your review. 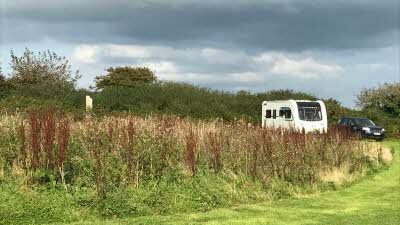 I am glad you found it neat and tidy, we pride ourselves on having a neat and tidy site with large pitches and beautiful countryside views. We employ a person to cut our grass and plan for that to happen (weather permitting) around midday or early afternoon each week as we have found that our visitors are generally out at this time exploring the local area. We have learnt that our visitors prefer for us to collect the grass cuttings when mowing so as not to leave them on the lawn to be carried into peoples caravans under foot. This does mean however the cutting process takes a little longer due to the emptying of the grass cuttings. To ensure that it causes a minimum amount of discomfort to guests that may remain at the site all day we aim to cut it weekly (again weather permitting) so there is not too much to cut in order for us to do it quickly, usually in less than one hour. 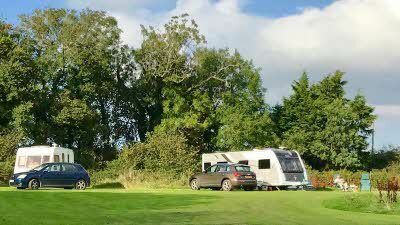 In the fifteen years of running the site we have found guests to be very understanding of lawn mowing as they enjoy the results of a neat and tidy site. We have never had a single complaint before and therefore we were completely taken aback to have received one. Since your visit, if we ever have visitors on site when we are mowing the lawn we now personally ask them if they would object if we spent around an hour mowing the lawn. I am pleased to report that everyone has been most understanding and keen for us to continue so we can keep our site neat and tidy for both themselves and future visitors. Higher Eathorne Farm is a very nicely kept site with the grass cut short and the pitches each with E.H.U. are well spaced apart. There are views in the distance of Goonhilly Downs and the English Channel off The Lizard. 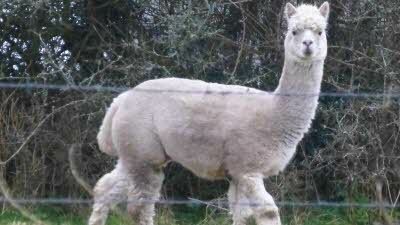 Six alpacas live in the adjoining field and regularly grazed within about twelve yards of our van. There is also an owl house which was perhaps sixty or eighty yards down the field and we often saw owls flying over our van at dusk hunting in the surrounding fields. 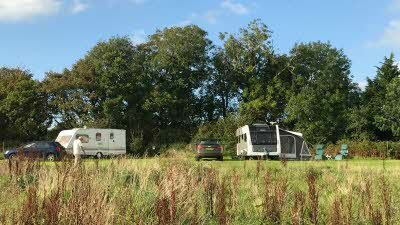 The site is very quiet and we heard no noise at all from vehicles at night time. Penryn and Falmouth are a short drive away with supermarkets, fuel and takeaways. Most of the west Cornwall towns and beaches are about half an hours drive or a little more away. We noticed a restaurant about one and a half miles way but didn't try it due to us having two dogs. The owner of the CL who lives beside the site is a friendly pleasant person who greets you warmly on arrival and then leaves you to enjoy the site. We would certainly return when we visit the area again. Our satnav wanted to take us up some very narrow lanes so just as well we paid attention to the directions. 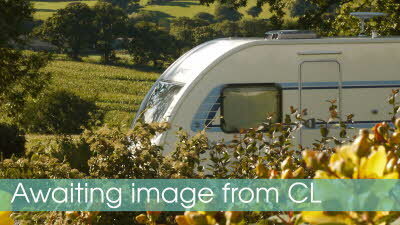 Lovely spacious site with pitches ranged arround edge to enjoy extensive views. Well maintained and mown with added bonus of watching the alpaccas in adjoining field. There is also an owl box in a nearby field where I saw two barn owls. Plenty of footpaths in the area but some are rather overgrown. Very pleasant stay. Highly recommended.